It is the time of year when the ELT blogosphere celebrates its heroes – dedicated teachers who, with unrelenting enthusiasm and passion share with us their ideas, insights and inspiration. 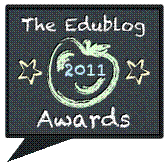 These are my nominations for these year’s Edublog Awards. Scott Thornbury’s posts on An A to Z of ELT always generate a lot comments and provoke debate. Even though I am not yet convinced that Dogme is the ultimate way to go in the post-methods era, it is always a pleasure to listen to Scott at conferences and read his thought-provoking posts. 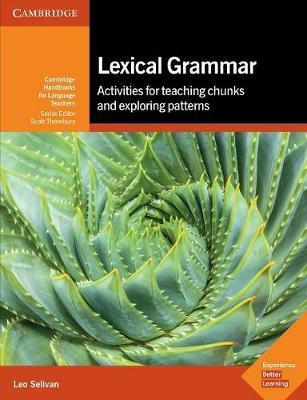 He was very critical of the Lexical Approach once, calling it a journey without maps, but then went on to produce A Natural Grammar, best lexical grammar book ever penned! I met Steve at TESOL France less than a month ago. He is just as passionate as myself about using video in the classroom, although our tastes and choices are somewhat different. Every Sunday a poll is posted on Twitter where you vote for topics of interest. The top choice is then discussed on Wednesday on #ELTchat, a weekly discussion group started by Marisa Constantanides. Teachers from all over the world join this one hour online discussion and you should too! 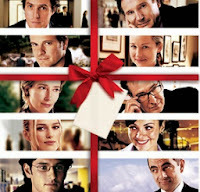 Great ideas for using video and apps on this blog started by an EFL teacher who, like many other ELT personas, started his teaching career at International House Barcelona. Leo, I found some really good blogs to follow here! thanks! Have never "seen" you on #eltchat! Excellent choice! Check out Sandy Millin's nominations - her blog is excellent and those she nominates are well worth checking out! Yes I am following Sandy on Twitter.